This year’s festival will take place from 15-18 September 2016. This is the award winning festival’s tenth year. What once started out as a festival all about Dry Stone Walling, the festival now includes Lettering and Carving workshops with world renowned instructors, as well as films, walks and talks. People from all over the world come to Inis Oírr to participate in this festival. 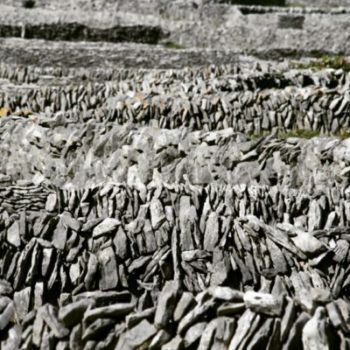 Beginners and highly experienced dry stone wallers come together in this beautiful setting to discuss all things stone, and to relax and enjoy a few days on this idyllic island setting.